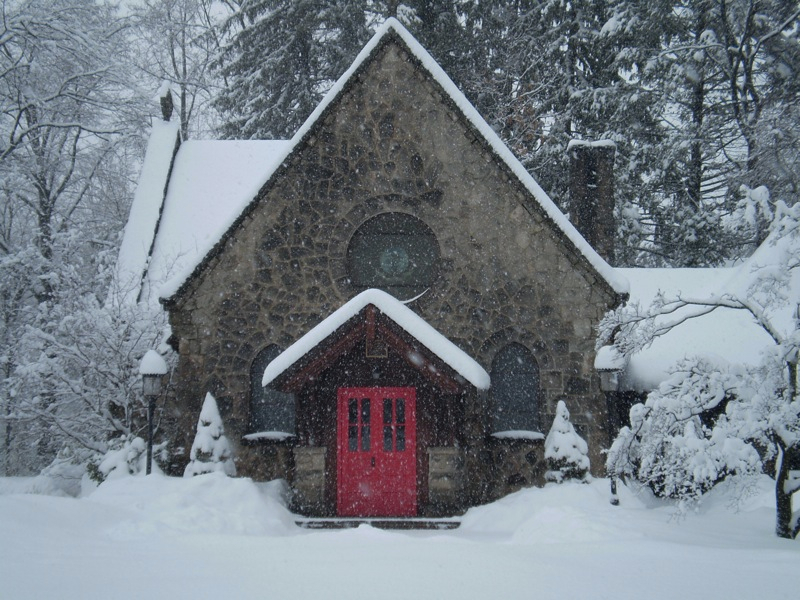 Anglican Church | When I Survey . . . 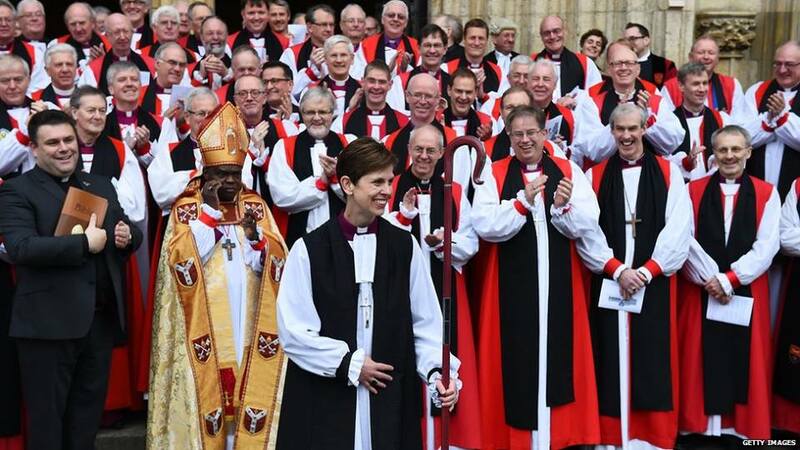 I find myself profoundly moved at the news that today the Church of England has consecrated their first woman bishop, Libby Lane. I am old enough to remember when there were few women in ministry. In fact, in the Episcopal Church of my youth there were none. No bishops, no priests. Not one. As a young man I migrated to the United Church of Christ, which had done better on this issue, but still I had few women colleagues early in my ministry. I remember with great affection and respect two pioneering women ministers in the UCC: Gladys York from Maine and Catherine Chifelle, from Massachusetts, who later became a congregant of mine in Pittsfield. They served small congregations where they were faithful and well-loved. My second call was to be the associate minister at Hammond Street Church in Bangor, Maine, where Ansley Coe Throckmorton was the senior minister. I don’t know whether it was true or not, but we were told that Ansley was the first woman senior minister of a “tall steeple” church in the UCC. I was proud of serving with her, and got to see close up some of the challenges she faced from folks who didn’t want to recognize the authenticity of her ministry. This year is the 40th anniversary of my ordination. I would mention all the wonderful women who have been my ordained colleagues through the years, but I might forget somebody. I also supervised several women seminarians in field education, much to my benefit. I give thanks for them all. Then several years ago my own daughter came home for Thanksgiving and announced that she was going to seminary to discern a call to ordained ministry. She is now ordained and inspires me all the time. The church is an intrinsically conservative institution. That is not all bad. We don’t move too fast most of the time, and that is both the beauty and the bane of the church. But it took, it has taken, way too long for the church to recognize the God-given gifts of the women among us. And there are still wide swathes of the church where women’s gifts are undervalued, unappreciated and unrecognized. Thank God that is changing. I pray it will change more and more. Today the Church of England took an important step. The truth is that it has come very late in this particular game. And it is not the last step that needs to be taken. Not by a long shot. But perhaps today we should all just celebrate and be glad at what took place. Rowan Williams, the Archbishop of Canterbury, has announced he will step down at the end of the year. He has been leader of 77 million Anglicans for a decade during a particularly fractious period. So who can blame him for wanting a different kind of life? Why is he moving on? Williams has lived long enough with celebrity under the glare of the media. He has done his part. But we have not heard the last from him. He is one of our finest theologian, an astute social critic, and a first-rate poet. Freed from the burdens of the primate’s office I expect he will grace us, both church and world, with new contributions. But perhaps what he seeks most is play. Ecumenism is in my DNA. I remember the excitement generated when Pope John the 23rd promoted “aggiornamento” that was a feature of the ground-breaking Second Vatican Council. The “windows came open for awhile” a Jesuit friend once said to me. As a young adult I joined the United Church of Christ in part because of their great history of ecumenism, and their commitment to be a uniting church. I was ordained by the UCC and served for a dozen years as their representative on the Massachusetts Commission for Christian Unity (MCCU). There, I met wonderful, faithful men and women representing the whole spectrum of Christian communions. One highlight was I got to meet and talk with Johannes Cardinal Willebrands, one of the the great Roman Catholic ecumenists. I studied the World Council of Churches Baptism, Eucharist, and Ministry(BEM) document carefully, and used it in both my local ministry, and in my A Course in Basic Christianity. So I was dismayed this week to read the reports about Pope Benedict offering “traditional” Anglicans the opportunity to come into the Roman Catholic Church with the promise of “Anglican Rite” status. My first response was sadness. The Vatican is basically telling the Anglican Communion that they are not really a church. I thought of Rowan Williams, the Archbishop of Canterbury, someone I truly admire, having to sit there in a press conference and pretend he and his church weren’t getting disrespected. The whole incident represents a giant set-back for a multi-generational ecumenical dream shared by many Christians from all communions, rooted in Christ’s own prayer to God the Father “that we may all be one.” That dream won’t die, of course, because the unity of the church is God-given, and in God’s own time and way it will be fulfilled. But silly me for thinking I might see more manifestations of it in my lifetime. And how sad for those who will have to leave their church home. How will it all play out? The priests get to keep their wives but leave their parishes? And which Anglican rites will they be allowed to use? The Eucharistic theology in the various Books of Common Prayer is decisively Reformed in character, and has indigestible nuggets of anti-Roman polemic in it. My former Episcopal colleague Father J. Michael Povey writes astutely about this on his blog with the post Which Rites? Whenever the church of Jesus Christ splits, it is a scandal. It weakens the church’s witness to the world. And when people leave their communion for another, it diminishes the diversity within that communion. The worst thing for a church is to be a bunch of like-minded people. I have often had to swim against the stream of my own denomination, but as my friend Gabe Fackre has always reminded me, “there are no safe harbors.” That is, there are no ecclesial utopias this side of the kingdom of God. Here in Massachusetts many of the new members in Protestant churches are former Roman Catholics who come for one reason or another. We welcome them and extend them hospitality in our congregations as we should, because they are our Christian brothers and sisters. But to me it has always been bittersweet to see someone leave their church home, and it is a breach of ecumenical etiquette to bad mouth other communions. So it is a sad time for ecumenism.